The last thirty years have seen an extraordinary change in the technical substrate on which our culture is built. The World Wide Web, created in Europe in in 1989, made the Internet usable for non-technical people. Across the Web, the vast majority of servers run on Linux, an operating system written in Europe between 1991 and 1993, as do the vast majority of mobile phones, and many of the Internet's routers. Meantime, most Apple products - computers, phones and tablets - are built on the BSD operating system, as are many other Internet routers. Facebook, the towering proprietary monolith of social media, was built on PHP, a web scripting language written in Canada by a European (strictly, a Greenlander), as are all Yahoo's and Wikipedia's web services. Twitter was built on Rails, a web framework written by a European working in the US. What's key about all these critical products is that they are all open source: given away by their authors for free as a public good, a newly created common wealth for the whole human race. These gifts - because they are gifts, and critically valuable ones - have sometimes been made by corporations, and often by universities. But nevertheless, the most important gifts have been made by individuals: people who have chosen, rather than get personally rich on the basis of their creative work, to make a gift to all of us. And as these gifts have been maintained, developed, improved and repaired over the years, a great deal of that work has itself been done by individual volunteers, seeking no reward but their reputation among their peers. It is on these acts of unselfish generosity, these gifts, that the whole of the the modern economy is built; and that isn't accidental. The World Wide Web was by no means the first distributed hypermedia system; it was the first to be widely adopted, precisely because it was the first that individuals and organisations could adopt without onerous costs and licence terms. Linux is now the dominant operating system on the planet not only because it's free, but mainly because the ease with which people can contribute fixes and new functionality allows it to develop, and fix vulnerabilities, faster than commercial alternatives. Open source not only reduces the cost of business innovation, it also drives up quality and enables business to share the costs of maintaining key software assets. It is the goose that lays the golden eggs on which the modern economy is built. And the European Commission is proposing to shoot it. The proposed Copyright Directive - and in particular Article 13 - totally undermines the gift economy; it poses unaffordable costs and liabilities on code sharing repositories like SourceForge, GitHub, GitLab and others. These organisations will be forced to either withdraw or charge for their services. making it impossible for volunteers to freely share - to gift - their own work. Meantime, Article 11 seeks to undermine another critical substrate of a free society, the free and voluntary sharing of ideas. The civil society discourse on public policy requires citizens to be able to freely access and reference the ideas of others in their own works, and to make their own works freely available to others to reference, comment upon and critique. 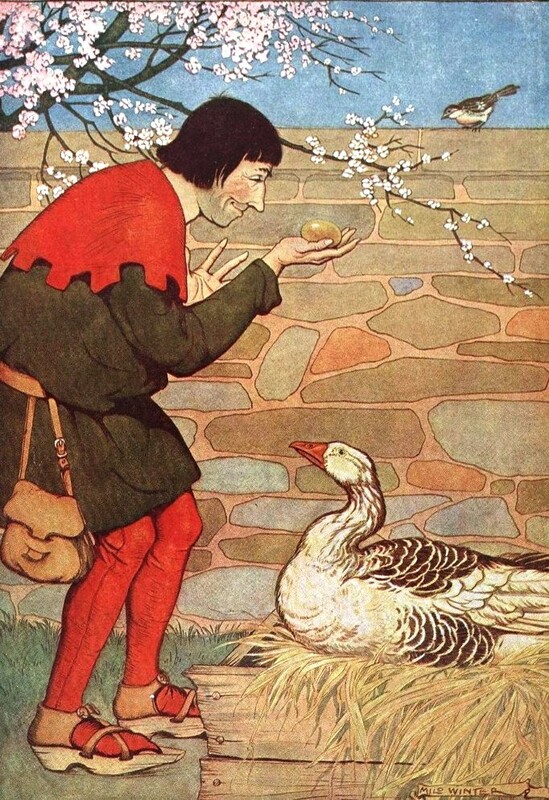 Of course, the European Commission isn't setting out to shoot the golden goose. It's setting out to protect the interests of the film, television, and fiction publishing industries. But seriously, is it better in the modern age to have films and no internet, or internet and no films? If our present copyright provisions meant the total elimination of Europe's cinema and television production sectors, would the total destruction of the infrastructure of the Internet be a price worth paying to save them? If our present copyright protections meant the elimination of journalism, would the destruction of civil society be a price worth paying to save it? And cinema and television production are not greatly challenged; they're thriving and immensely profitable. Journalism is challenged, and is still adjusting to the Internet. But nevertheless, the solution to that is not - cannot be - to destroy either the Internet or civil society. This is a directive that should not merely be reconsidered; it should be abandoned entirely. The discussion we should be having, in an age in which the cost of reproduction of digital goods is essentially nil, is whether the copyright model which served reasonably well through the era of print serves any sort of public interest in the digital age. Of course the creators of cultural artefacts deserve to be rewarded; of course journalism is necessary to a free society and must be supported. But copyright does not serve either purpose well. For every J K Rowling, there are a thousand authors of fiction who make at most a pittance; for every Paul McCartney, a thousand songwriters struggling to put petrol into the car to go to their next gig. In journalism, the Daily Mail, a purveyor of gossip, malice and deceit, profits more from copyright than the Guardian, which supports serious political discussion and commentary, and funds critical investigative journalism such as the recent Cambridge Analytica scandal. In the Hitchhikers' Guide to the Galaxy, Douglas Adams wrote a little parable for our times. The first settlers of Earth, he wrote, adopted the leaf as currency. But leaves were too plentiful; so in order to prop up the value of the leaf, they decided to burn down all the forests. What the European Commission is proposing is to burn down the forest: to save the profits of the media industry by destroying the infrastructure of the Internet and of civil society. They must not be allowed to do this. Copyright is a tool of society, not its master; and if the tool has been made obsolete by more modern technology, it is time to discard it.